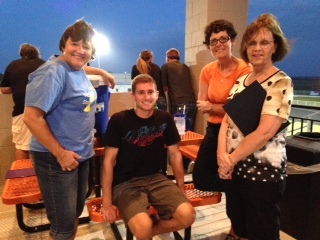 Colin Hays was valedictorian in the 2010 graduating class at Beatrice High School. He is a recent graduate of University of Nebraska where he was on the Dean’s List and plans to attend University of Nebraska Medical Center – College of Dentistry. His life forever changed though in July 2014 when he was diagnosed with AML, Acute Myeloid Leukemia. Like many other blood cancer patients, a bone marrow donation has the potential to save his life. Colin’s hoping to find a bone marrow donor from the National Bone Marrow Registry as his family is not a match. Joni Bruhn, Director of Youth and Family Ministry at St. John Lutheran Church mobilized resources and organized a bone marrow drive at a local high school football game to help find a donor for Colin. Joni along with a team of 7 helped spread the word and recruit volunteers to hold a successful drive. 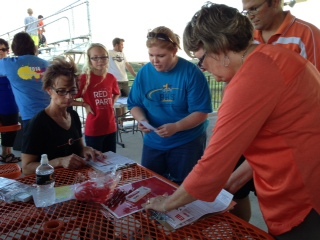 Joni and team were able to register an outstanding 85 donors into the bone marrow registry. These new registrants have the potential to save the lives of blood cancer patients like Colin. Following up on the success of this last drive, Joni and her incredible crew will be holding another drive on September 28th at St. John Lutheran Church (Fellowship Hall) in Beatrice, NE. Click here for details. This entry was posted on September 24, 2014 by youcanmakemestronger in Story and tagged Community.